Aggravation over not being able to attain something (such as your pork chop). Don’t use a muzzle or HusherTM as a substitute for training, or while you are absent. Your dog regulates his temperature through the mouth by panting and muzzles prevent your dog from doing this as well as drinking water and eating. Don’t attempt to make your own muzzle using rope or rubber bands. Not only is it cruel, it can be dangerous for the dog. 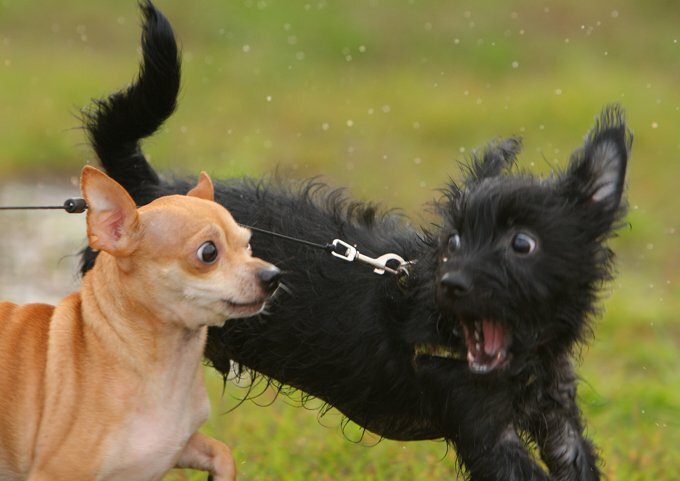 Over-protective behavior in addition to the barking, such as growling, snapping, lunging, etc. Extreme separation anxiety or fear of objects, sights, sounds, people etc. The following information is not meant to take the place of professional advice. This barking response is also known as alarm barking. 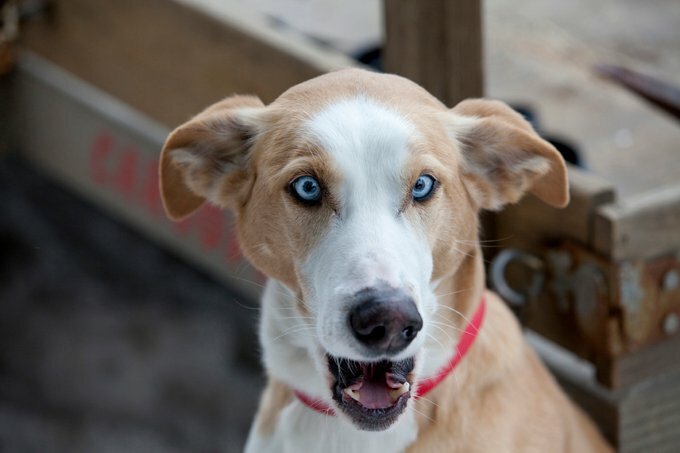 It can be in response to people coming to the door, people or animals walking by your house, or other sights and sounds that alert the dog to the presence of someone or something crossing their territory. Territory can be your house, your yard, or even your car while you are driving. 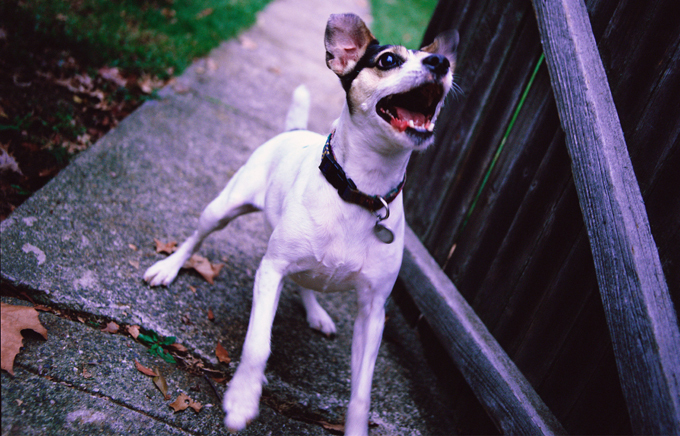 In order to reduce this type of defensive barking, success depends on your dog associating strangers at the door and passersby with positive things like treats, praise and attention. To start, you can remove any stimulus from the dogs environment. Block your dog’s access to doors and windows while he is indoors so he cannot see outside. Play music or the TV to mask noises that trigger barking. Change your doorbell ring so as to disassociate him from the ring he is used to accompanying with barking. Call him inside from the yard at times he is prone to barking, such as when school lets out and kids are noisily making their way home. If the dog continues to bark after you have taken these steps, it is time for some counter-training. 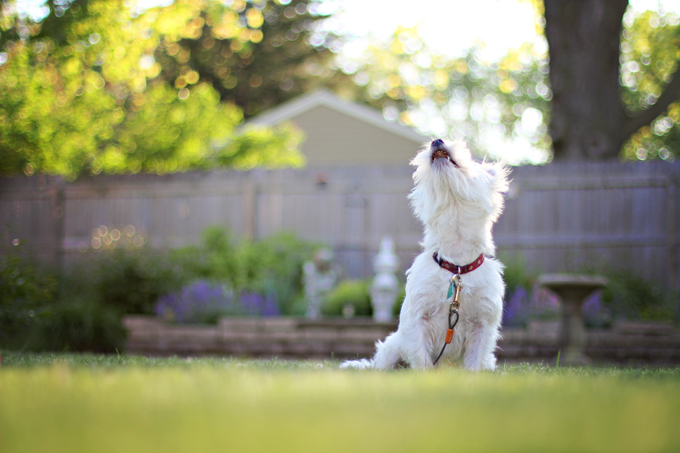 If barking is a problem on your walks, using some of the same methods utilized in loose leash training may help. Hold treats in your hand, giving some out as you walk along. The idea is to encourage your dog to focus on you and not any distractions. Let him sniff and see the palmed treats from time to time so he knows what you have. Use a special treat that your dog doesn’t normally get and keep the pieces small so your dog can chew and swallow them easily while walking. 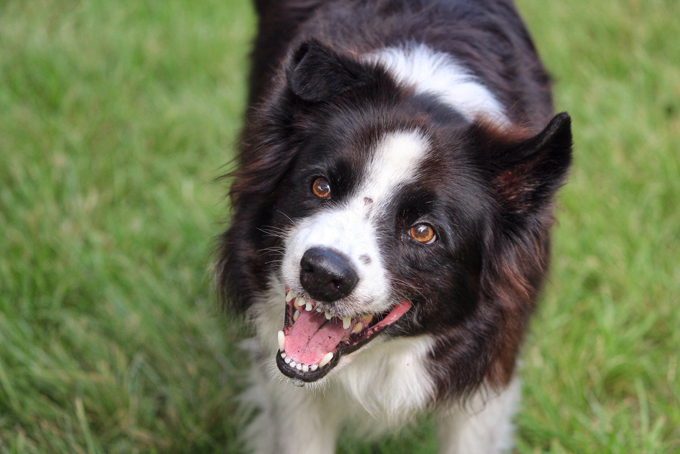 Train your dog to “sit/stay” while people pass, allowing him to say hello only if the other person wants to. Praise, reward, and consistency are very important to make this work, but after a few days or a week, you should see a marked difference and can start spacing the use of treats farther apart. All three of these methods are designed to condition the dog that people outside are associated with good things–treats, praise, attention. Keep one of his favorite toys by the door and train your dog to pick it up when a guest comes. He will be less likely to bark with a toy in his mouth. When walking, a “sit/stay” command until people pass will help. The command “wait” is good for gaining his attention and control. Once he stops barking, call him to you, praise him, and fulfill his request, as long as it’s reasonable. However, if he is barking for food, do not reward him with food, treats, chews etc. This will simply reinforce begging and instead of barking, he will switch to pawing at you or some other attention getting behavior. 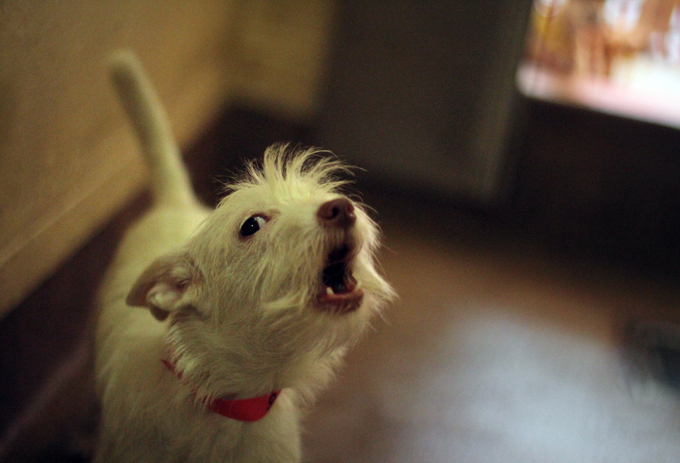 If your dog only barks to let you know he has to go potty, you need to change the behavior. Train him to ring a bell hung on the back door, or install a dog door which allows him to go when he pleases. However you go about it, changing behavior is much tougher than preventing it in the first place. 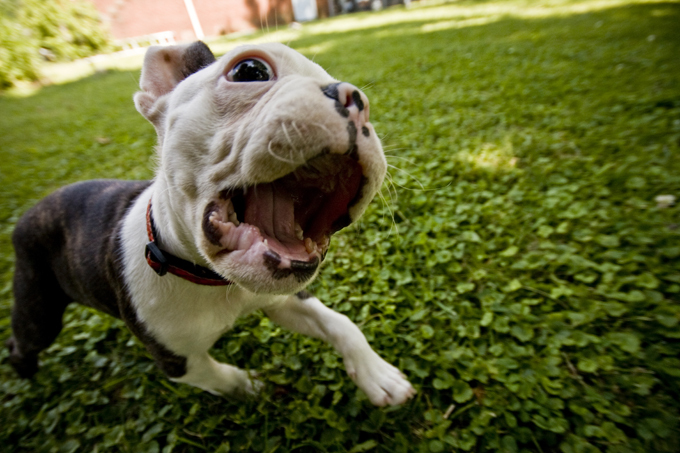 With a puppy, start off on the right foot and don’t encourage or reward barking behaviors. One tool that may help with this training is a head halter. It looks somewhat like a combination collar/muzzle, but it allows the dog to breath and drink. Used with supervision (never leave it on the dog when he is alone), it may have a controlling and calming effect on your walks and at home, reducing the likelihood of barking. A head halter does not replace training, rewards and praise, but is a tool to help you in your counter-bark training. Anti-bark collars are punishment devices that shock, make an ultrasonic noise, or spray citronella when a dog barks. They are not good first choices for solving barking problems, especially when the barking is based on fear, anxiety or compulsion. Before using an anti-bark collar, you should consult with a Certified Applied Animal Behaviorist, a Veterinary Behaviorist, or a Certified Professional Dog Trainer. These should only be considered when all other methods have failed.